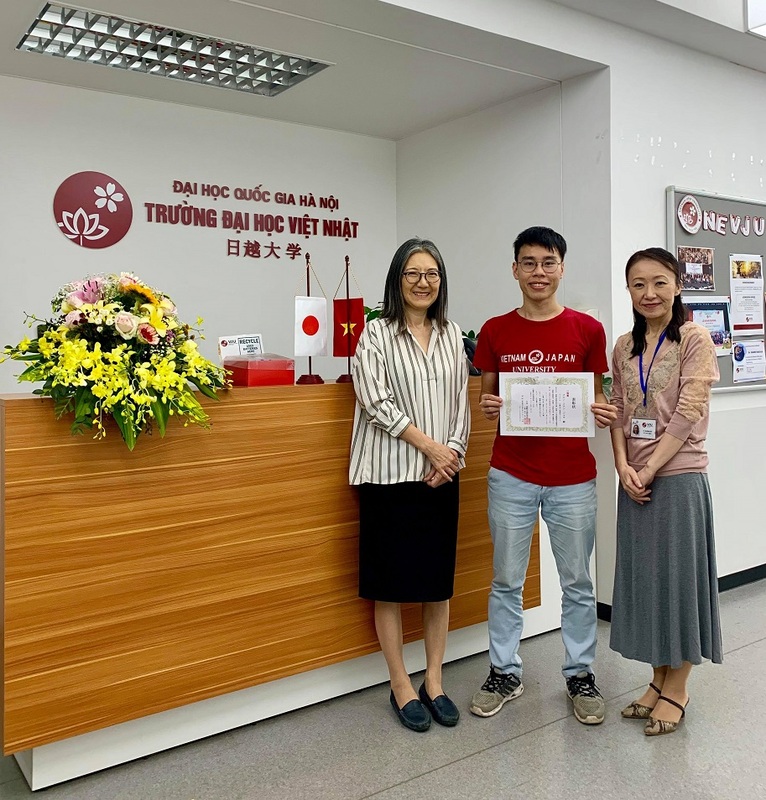 "The fourth opening of Japan" is the essay awarded the third prize in "Writing Contest for Japanese learning Foreign Learners” by Nguyen Quang Dieu, the student of Master’s Program in Area Studies. The “Writing Contest for Japanese learning Foreigners” was firstly organized in 2017 by Ministry of Education of Japan, Japan International Research Department, National Education Support Association and Ministry of Foreign Affairs of Japan. In 2018, this contest began calling for articles from Japanese foreign learners of all countries in the world from October 2018. At the beginning of March 2019, best articles of the contest were announced. Nguyen Quang Dieu, a student of the Master's Program in Area Studies won the third prize of 6793 articles from 62 countries and territories. The theme of this year's writing competition is “What do you know about Japanese people and the country?” and the theme in Dieu's article is "The fourth opening of Japan". 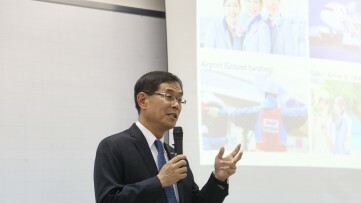 Explaining his theme, Dieu shared: In history, Japan has undergone three opening period, marking significant turning points for its economy and society. The first opening is when Japan officially established diplomatic relations with China. This is also the event that opens opportunity to learn cultural quintessence from China, one of culture hearth of the world. In the second opening, Japan welcomed merchants from the West, initially Dutch. They were allowed to trade with Japan through a small commercial port, helping economic, cultural and technical conditions develop strongly. The third opening marks a major turning point for Japan's economy when placing diplomatic relations with the United States, a premise for Japan to rise to become the world's second development economy. Three historic opening times have brought great changes to the country of Japan. However, with a developed Japan, the level of science and technology reaches many peaks, people will start to continue to ask more questions about the future two words for the country Japan will continue how to develop; with Dieu, it is a question about "The fourth opening of Japan". Dieu sincerely shared the essay was a part of the exercise that Dieu practiced during his master studying at VJU in the subjects of Japanese-oriented study. 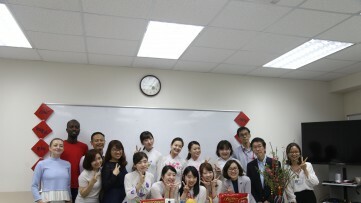 Upon receiving information about the contest through Dr. Shinobu Aibara, a Japanese language lecturer, Dieu realized that the essay had similarities with the topic given by the competition. Dieu completed his essay and received additional comments from Ms. Aibara, Dr. Ito Mariko, a lecturer of the MAS. “I submited my article at the day of deadline submitting in October 2018. 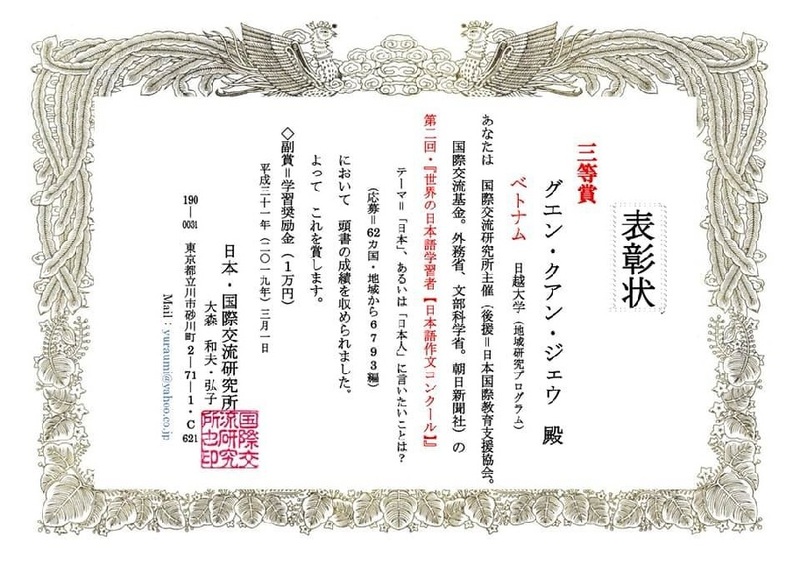 At the beginning of March 2019, Dieu received the announcement of the final third prize. “Receiving the news made I surprised, happy and a bit regretful. Being surprise and happy to receive the award but a little regret because I think I might have done it better. The essay, in my perspective, was an exercise that I had done and from experience through 4 months of my internship in Japan during the Internship Program 2018 of VJU”, Dieu shared. Dieu was a student of Information Technology, Hanoi University of Technology. At the end of the second year, Dieu won a student exchange to continue his 2-year course in Information Technology in Japan. 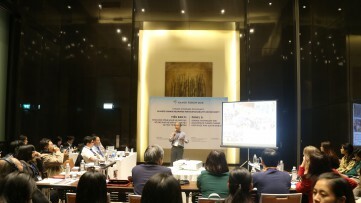 After graduation, Dieu worked at a Japanese IT company in Vietnam. “Japan itself has been targeting solutions to cope with population aging. They have developed a strong array of science and technology, making robots that can replace people working in a shortage of manpower. For those who wish to work in Japan and for Japanese companies anywhere, I personally think that we must equip ourselves with necessary knowledge about Japan to understand not only about our expertise but also social knowledge. When studying about Japan, I am more sophisticated when I look at Japan in many aspects from society. That is also the reason for forming the essay “The fourth opening of Japan.” , Dieu shared. How to be a global staff?